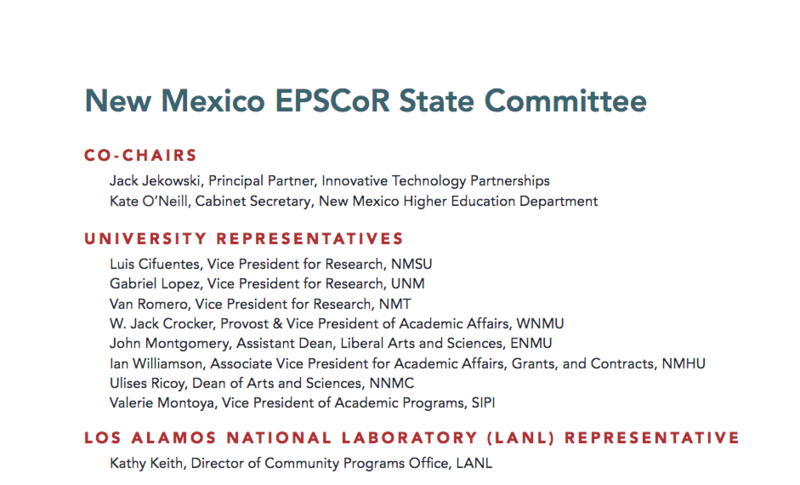 At New Mexico's Established Program to Stimulate Competitive Research (NM EPSCoR), we are working to improve the research, cyberinfrastructure, and human resources required for New Mexico to achieve its research, education, and workforce development potential. Established after a successful National Science Foundation planning grant in 2000, NM EPSCoR is building the state's capacity to conduct scientific research and supporting a culture of innovation, while working toward cultivating a diverse, well-qualified Science, Technology, Engineering and Mathematics (STEM) workforce. The first Track 1 research infrastructure improvement grant was awarded in 2002 by the National Science Foundation. For more information on the history of NM EPSCoR, please view our historical timeline by clicking below. This mission of New Mexico's Established Program to Stimulate Competitive Research (NM EPSCoR) is to build the state's capacity to conduct scientific research while cultivating a diverse, well-qualified STEM workforce. 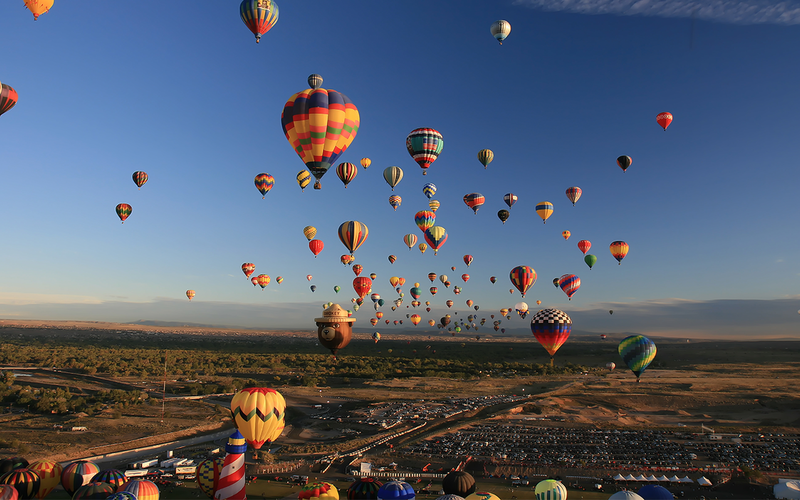 We envision New Mexico as a state that has achieved self-sufficiency in a sustainable manner through its research and development enterprise, has a strong STEM pipeline between community colleges and the research universities, promotes innovation, new business, and economic development, and is recognized contributors to the national and global STEM research enterprise. 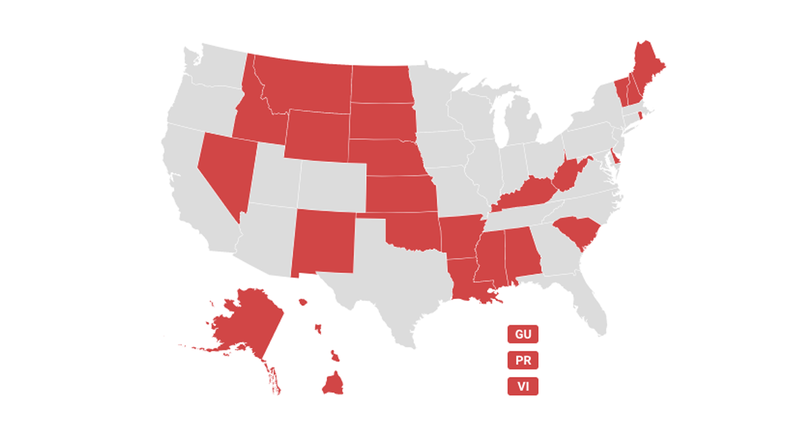 The NSF Established Program to Stimulate Competitive Research supports 25 states, two territories, and one commonwealth in its efforts to build sustainable research and human infrastructure. 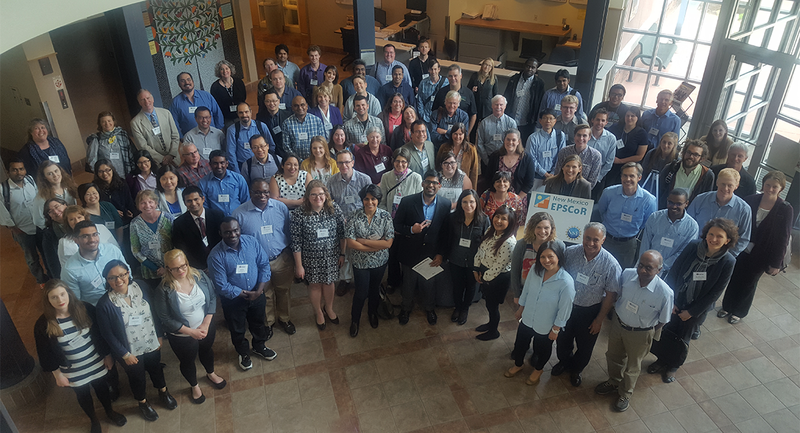 The mission of EPSCoR is to advance excellence in science and engineering research and education in order to achieve sustainable increases in research, education, and training capacity and competitiveness that will enable EPSCoR jurisdictions to have increased engagement in areas supported by the NSF. Of all NSF EPSCoR faculty hires, 78% remain in their original jurisdictions, creating a return on investment for each jurisdiction. 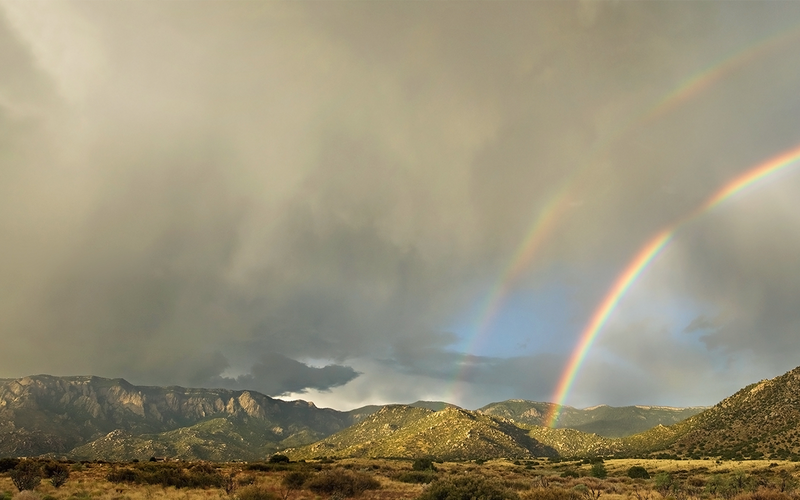 Since 2001, NSF EPSCoR programs have provided $164 million to New Mexico to build capacity in research infrastructure, cyberinfrastructure, and STEM workforce development and education. 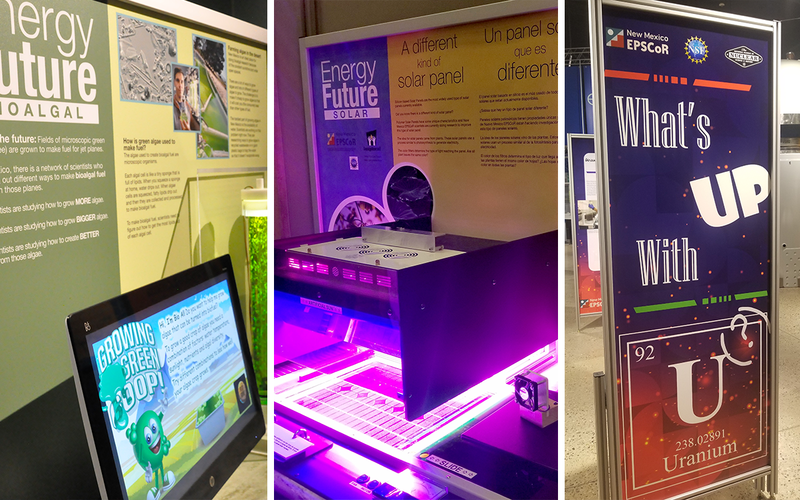 Since 2013, NM EPSCoR participants have brought in over $55 million in external funding, submitted 163 peer-reviewed publications, and reached over 10,000 people through museum exhibits and public events. 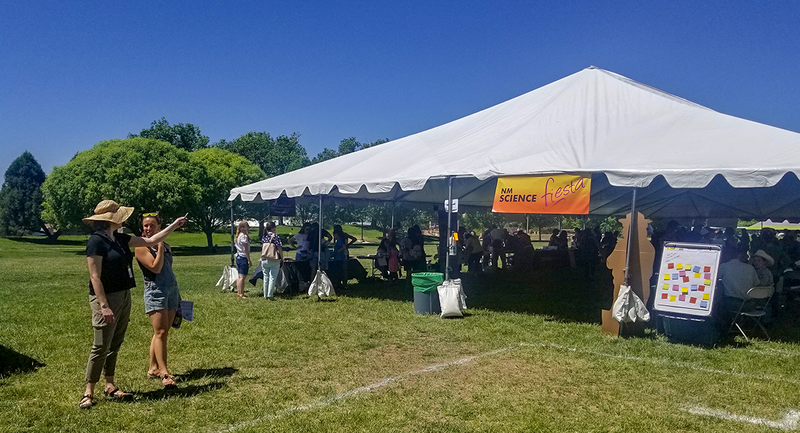 Natives in STEM is a collaborative project between NM EPSCoR and the American Indian Science and Engineering Society (AISES). 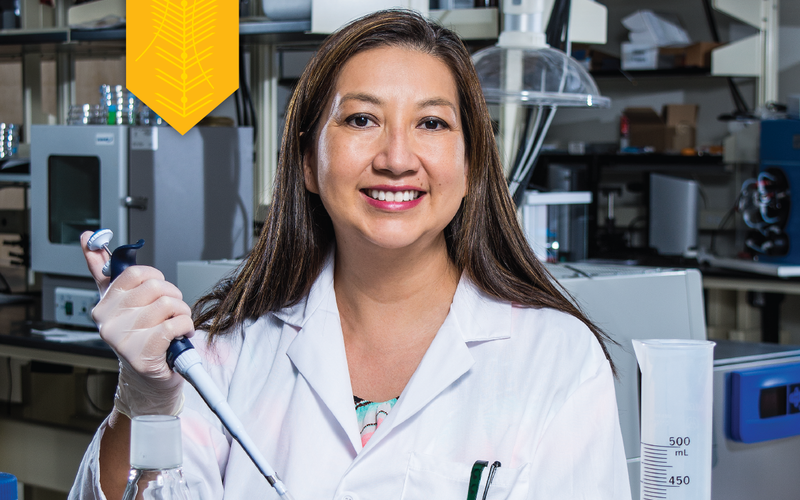 The project aims to increase Native American identity and sense of belonging in STEM by creating and sharing positive images and stories of Native STEM professionals. Natives in STEM provides access to Native STEM professionals, creates an educational tool for teachers and schools, increases understanding of and interest in STEM for Native communities, broadens educational and career choices for Native students, and strengthens the Native STEM community network. In order to communicate research broadly to the public, NM EPSCoR funded three exhibits at science museums in Albuquerque: a bioalgal exhibit at the New Mexico Museum of Natural History & Science, a solar energy exhibit at Explora Science Center, and a uranium exhibit at the National Museum of Nuclear Science & History. These museum exhibits provide a vehicle for NM EPSCoR research to be shared with hundreds of thousands of members of the general public, on a much larger scale than could be accomplished through traditional outreach activities. 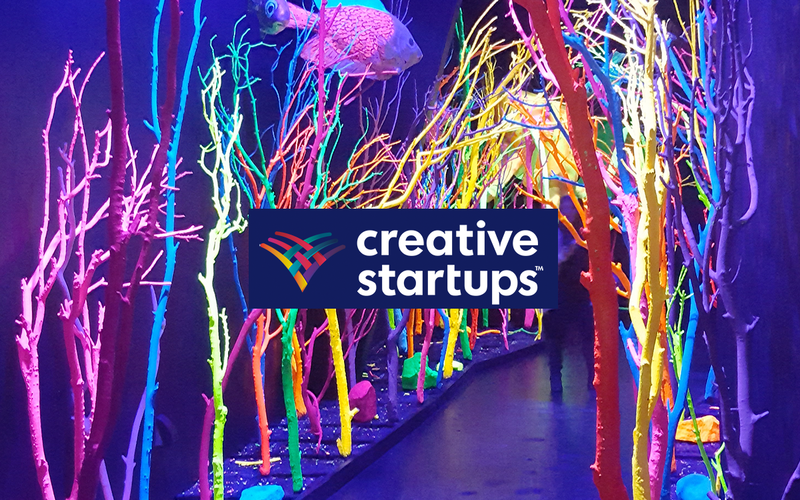 The Creative Startups Accelerator was launched in 2014 with seed funding from NM EPSCoR to help jump-start the careers and businesses of creative entrepreneurs. The program is now located in three sites domestically (Albuquerque; Winston-Salem, NC; Baltimore, MD) and recently expanded internationally in Kuwait and Malaysia. To date, they have graduated 40 startups from the New Mexico Accelerator program. So far, the startup companies that participated in the accelerator have raised $11 million in private investment, generated $10 million in new revenues, and created over 160 new jobs in New Mexico (210 jobs globally). 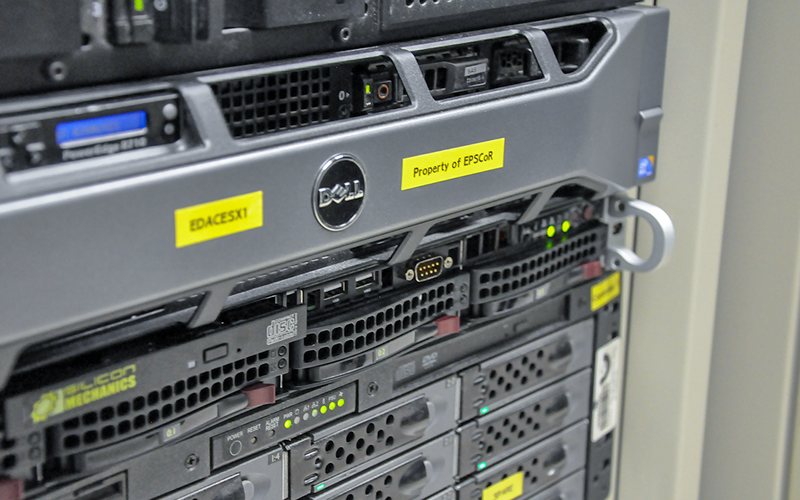 One of the main goals of NM EPSCoR is to support research infrastructure through shared-use equipment. Several higher education institutions across the state benefit from state-of-the-art equipment purchases using NM EPSCoR funding, including a magnetotelluric system, laser-based isotope systems, gas chromatography systems, mass spectrometers, and more. These equipment purchases will remain available for faculty and students at their home universities, and will support their research projects for years to come. New Mexico EPSCoR’s State Committee ensures accountability and responsibility. The members ensure the current project promotes engagement, includes diverse participants, and facilitates communication and coordination among the project components. The NM EPSCoR State Office is located on UNM South Campus as part of the Science & Technology Park. We are one block west of University Blvd. and one block north of Avenida Cesar Chavez. Our address is 1312 Basehart SE, Albuquerque, NM 87106.